I am planning on setting up a weekly Town of Salem game. I have always been a big fan of this game its even more fun with friends. Nothing more than hanging your friends because you believe he might be a Werewolf or something else sinister. I would love to get a full game ie 15 players, but even 4 is tons of fun. If you would like to join us, the first session will next Saturday at 3 pm est/ 8 pm gmt. If this date/time is no good for you. We might can change the date/time, but keep in mind I want to have a time that the majority of players can attend. Thus a neutral time for EU/NA/OC. Do no fear death for it is only a window, and who knows with a retributionist only temporary, and if not their is always next game. It's been so long since I've played any Werewolf/Mafia games, but I'd love to join in on this! I should be around that time, but I'm not 100% yet as my weekends end up being pretty variable. This is a great idea, I think! Cool beans. My plan is do this event for a week or 2. If we get enough interest I might continue it for longer or change to another game. I don't believe I will be able to be there this week, but I am interesting in playing it sometime! I love Town of Salem, its always fun trying to figure out who and who not to kill haha. 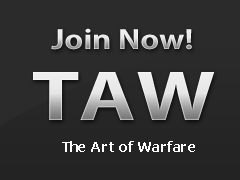 I love that game and would defiantly join if you made a division of TAW dedicated to it. Im currently just shy of gold league. Ive never played ranked, but i do really like this game. I don't know if this game could make it as a division, but maybe with the right leader. Tomorrow is the day if you looking to join us. We have room for new and experienced players. We had alot of fun last weekend. I will continue this game night this upcoming weekend. this game is alot of fun when u play with friends. ohh I'd love to join!